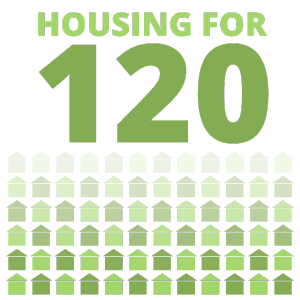 With our Supportive Housing programs people live where they want (anywhere in the community), receive help with their rent through subsidies, and receive customized services and supports from our mobile staff to ensure they are living well and meeting their self-defined goals. Our Supportive Housing staff work with people to secure safe, comfortable, and affordable housing. Once housed, we work with them to develop their independent living skills, become more socially connected with others, and improve their overall health. We also provide our advocacy and support services whenever needed. People USA follows a “Housing First” approach; we recognize that secure housing is the foundational step towards wellness. We ensure that people’s housing comes without preconditions; there are no judgments made on past experiences.